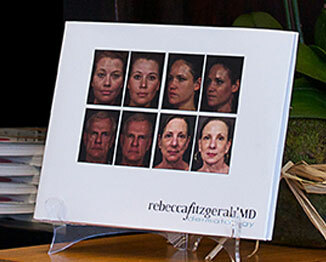 Dr. Rebecca Fitzgerald has been providing cosmetic dermatology services to patients in the Los Angeles area for over 20 years. A Diplomate of the American Board of Dermatology and a clinical instructor of medicine at UCLA, she is also a Fellow of both the American Academy of Dermatology and the American Society of Dermatological Surgery. Over the past two decades, Dr. Fitzgerald has developed a reputation as an international leader in the field of cosmetic dermatology. She has distinguished herself in every aspect of her career: as a dedicated doctor and medical practitioner, a highly regarded teacher and mentor, and an influential author. You can learn more about our Los Angeles cosmetic dermatology practice and receive customized treatment recommendations by speaking with Dr. Fitzgerald in person. Please call 323-464-8046 today to schedule a consultation. Upon meeting you, Dr. Fitzgerald will truly study your face. This is when you know how individually she approaches each patient. Yes, there’s a predictable element to aging. However, the pace, nature and degree of change are unique to each person, requiring an equally unique plan of treatment. While Dr. Fitzgerald takes tremendous pride in being regarded as one of the finest doctors in the field, her passion for cosmetic dermatology has led her to pursue many other endeavors beyond her work with patients. She is very active academically and heavily involved in research and training. In high demand, Dr. Fitzgerald lectures regularly at the major educational seminars for both dermatology and plastic surgery. Her articles and abstracts are frequently published in peer-reviewed medical journals. To learn more about her training and experience, please view Dr. Fitzgerald's CV. With over two dozen authored publications and over 130 international invited lecture positions, Dr. Fitzgerald's intricate research and documentation has helped establish a new standard for the manner in which medical professionals view the use of dermal fillers and collagen stimulators for facial rejuvenation, and her work has revolutionized the way in which these procedures are performed. Her astute and highly-regarded articles have resulted in editorial positions with the two primary dermatology publications in the United States. She serves as Assistant Editor for the Journal of Drugs in Dermatology, and she is Associate Editor for the Journal of Cosmetic Dermatology. In addition, advisory board positions with major industry leaders Allergan, Bausch Health, and Merz keep her in the mainstream of developing products and clinical trials. Dr. Fitzgerald is the rare physician who stays abreast of the latest dermatology innovations both in the United States and worldwide. As a result, she is regularly among a select number of physicians in the country to be the very first to get their hands on new technology and products. Dr. Fitzgerald's training competency, dedicated research, and detailed teaching ability have led to numerous high-profile training positions. In addition to her faculty position at UCLA, she has developed many of Medscape's Continuing Medical Education modules focusing on the roles of injectable techniques and patient evaluation. The International Master Course on Aging Science (IMCAS) in Paris, France has selected Dr. Fitzgerald as a presenter, and she is co-developer of the training standards for Nonsurgical Approaches to Facial Rejuvenation (Danne Miller Memorial Education Foundation) along with Swiss injection master Dr. Danny Vleggaar. In addition, she frequently provides individual training in advanced dermal filler injection techniques to physicians from all over the United States, Canada, Europe, and Asia. 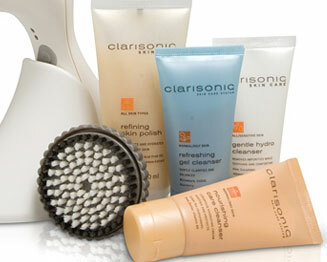 Dr. Fitzgerald has been a medical expert for New Beauty Magazine since 2008. She represents the dermatology field and is frequently called upon to provide opinion and clinical photography in the public education of dermal fillers and lasers. The magazine has been hailed as the "world's most unique beauty magazine" and contains authoritative reviews by renowned board certified physicians on the latest anti-aging and cosmetic enhancement techniques. At its inception in 2006, RealSelf invited Dr. Fitzgerald to be an initial contributor to what has become the undisputed leader in public review sites. RealSelf was developed to provide public access to unbiased "real patient" treatment ratings, physician reviews, and forums for those seeking cosmetic treatments. As a contributor, Dr. Fitzgerald holds a RealSelf Top Doctor position, allowing her to provide frank and sensitive advice in response to queries about potential treatment options. While Dr. Fitzgerald is a highly renowned physician in her own right, she will be the first person to extol the virtues of her talented and remarkable staff. She greatly values the exceptional care they deliver, and they play an important role in your treatment. Helen Fincher, MD – A Stanford-trained board certified dermatologist, Dr. Fincher has served on the faculty at Stanford University and as a clinical faculty member at UCLA. Her areas of expertise include medical dermatology, acne treatment, sclerotherapy for unwanted spider veins, laser treatments, non-invasive skin tightening, chemical peels, BOTOX® Cosmetic, and dermal fillers. Ray Jalian, MD – Dr. Jalian was chief resident at UCLA and completed a clinical fellowship at Harvard's teaching hospital. He served on the staff at Massachusetts General Hospital and is an assistant clinical professor at UCLA. His areas of expertise include fractional lasers, photomedicine, vascular lesions and malformations, medical dermatology, and neuromodulators. Angela Sarff, FNP, RN DNC – Angela is a Family Nurse Practitioner and registered nurse with Dermatology Nurse Certification. Her areas of expertise include laser treatments, medical dermatology, CoolSculpting, and Ultherapy. Please contact Dr. Rebecca Fitzgerald using the form on this page or call 323-464-8046 today to schedule a cosmetic dermatology consultation. We serve patients in Los Angeles, Beverly Hills, and Larchmont, California.